There’s a marked contrast. A glaring showcase of opposites. Shabby apartment buildings, tiled roof traditional houses, century old churches and government buildings at one end. Then you have glitzy high rises, skyscrapers filled with lights and neon marquees dancing on a foggy night at the other end. Macau’s old meets the new. I was invited by the Macau Government Tourism Office-Philippines (MGTO) together with other travel writers and bloggers for a familiarization tour to this interesting place last May and it was a beautiful experience with its cuisine, glitz and old world charm. Wonder of wonders is Macau! 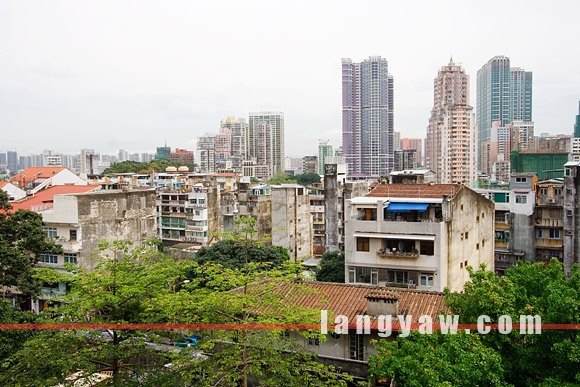 One might be shocked at this territory’s disjointed landscape especially when viewed from a high vantage point with its old soul bared in all its decrepit glory but for one who is interested with heritage and urban development, it becomes a beautiful place. The contrasts, the differences, the disparity, do give it charm and character. Manila could have been like Macau except that the former has continually fallen into disarray and confusion. The old meets the new theme is in constant play in this territory. It reminds you of its rich heritage drawing from centuries of continued habitation even before the Portuguese came. Macau has been an important trading outpost over hundreds of years and up until it was handed back to China in 1999, it still is a major hub. With its current place as the Las Vegas of Asia, attracting the gaming moguls and gambling establishments and often surpassing their Las Vegas counterparts, change is sweeping across Macau. Huge casinos are racing to fill the skies. Major hotel brands are scrambling to build on their piece of land while islands are continually being expanded and seas reclaimed to accommodate these new colonizers. But, like walking along the old quarters of Manila like Hidalgo St. in Quiapo and San Nicolas districts, sans the squatters and squalid surroundings, you are transported back to years past. The traditional is still alive with the Macanese going about their usual routines. Motorbikes are neatly parked at one side, infront of a brick and mortar building that have been witness to the place’s history for over a century. The smell of lighted joss sticks linger in one alley where an ornate shrine to a god is tucked at one end. Or at a streetside dining stand, vegetable and noodles are stir fried for a waiting customer seated at a table. All these under the shadow of change. 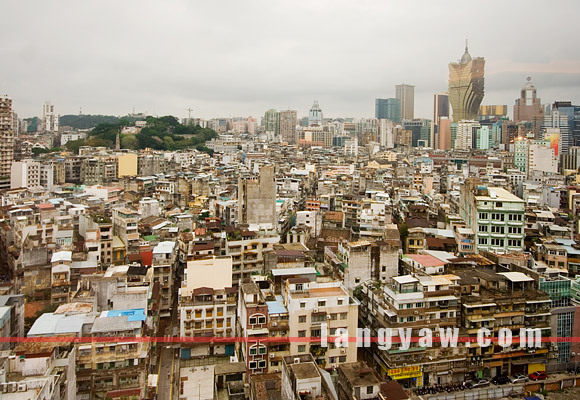 Very useful info for me as I will be writing a series on Macau at http://www.hubpages.com/profile/pinkytoky. Thanks for sharing info. love the night photos, bai! I was browsing some other of your travel entries and I came across this, I remember my macau trip and its just that Old meets New. I’d love to live there in one lifetime!